This is a project by M., who lives in Edinburgh/Sydney, and by T., who lives in Manila. We were approximately 8 hours apart, with the day just starting for one of us, while for the other, it has almost ended. Now, we write from Sydney to Manila. 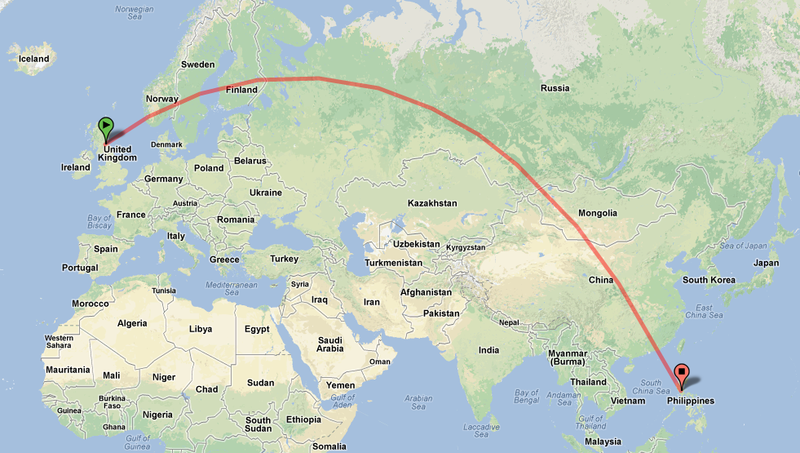 From 6,605 miles, to 6,264 km. Leap-frogging time zones. Ahead, now behind, now ahead. How do we bridge that gap? How do we fill in the rest of the hours, and tell of what happened, what we did, what we felt? Here, on this paper, there are only you and me, and the things that each of us tries so hard to understand, clambering up through long, long researches into the past, and thinking ponderously and seeking, and finding that for which we looked a glorified question mark. The world has more need of them than it has for warriors. This is another way for us to get in touch, and to share reflections from our daily life. This is an attempt to record the things we notice upon waking, and before sleeping. Most of all: this is a journey, and someday it will lead us to each other’s doors. All words and photos by M. and T., unless otherwise noted.